Since losing the 2016 Champions League final to eternal rivals Real Madrid, Diego Simeone and Atletico have been putting the pieces together for their next assault on the competition. They return to the competition after winning the Europa League and with a squad strong enough to once again compete with Europe’s best. With the final being staged in their home stadium Atletico could be due a date with destiny. Here’s a look at the improvements they’ve made in the last two seasons and why 2019 could be the year that Atleti finally wear the European crown. In the two seasons since that night in Milan, Atletico have been relatively quiet in the Champions League. They were knocked out in the group stages in 2017-18 and though they reached the semi-finals in 2016-17 they were knocked out comfortably by Real Madrid, losing 4-2 on aggregate after losing the first leg 3-0. During this period, however, they have carefully rebuilt themselves both through the transfer market, and the development of existing players. Keeping their spine of Oblak, Godin, Koke, Saul and Griezmann intact and adding quality around them, they once again have a team with the front to back solidity to stifle Europe’s best attacks and the star quality to puncture Europe’s best defenses. 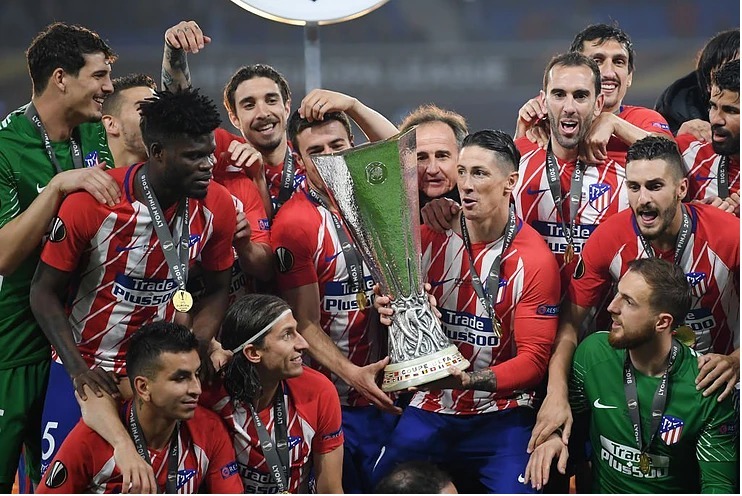 Of the team that started the Champions League final three have since departed the club; Captain Gabi Fernandez, rugged midfielder Augusto Fernandez and cult hero Fernando Torres. Atletico have used the transfer market to bring in three top quality replacements; Rodrigo Hernandez (Rodri), Thomas Lemar and Diego Costa. This is what they can bring to the table. Signed from Villarreal in the summer for 20 million Euros, Rodri returns to the club he was developed at as a natural replacement for departing captain Gabi. Rodri is a typical Spanish holding midfielder. He has strong positional sense, reads the game well defensively and is very good in possession. He also protects the ball well and plays quick accurate short passes as well as forward passes through the lines into the attackers. Rodri acted as Villarreal’s fulcrum in midfield often finishing matches with the most touches and passes. His constant influence will almost certainly improve Atletico’s possession game, and although this is not a key area of their approach it is an area they have struggled with in recent years. What makes Rodri so special is that he combines his on the ball qualities with fantastic defensive ability. Standing at 6’3” Rodri is a very imposing physical presence in midfield. He has a strong tackle and wins his fair share of aerial duels. This will help him slot in perfectly at Atletico who have built their recent success on being able to shut out the best teams and players. At 70 million Euros Lemar’s price tag will likely raise eyebrows but acquiring him from Monaco could turn out to be a great piece of business from Atletico. Lemar is a perfect stylistic fit in Simeone’s 4-4-2. He is a wide midfielder and attacking winger rolled into one and this balance is exactly what Atletico need on the flank. Lemar combines the creativity and ability to tuck into midfield that Simeone’s most successful wide players possess (Arda Turan, Koke) with the pace and direct dribbling that Simeone has so far unsuccessfully tried to implement (Carrasco, Gaitan). 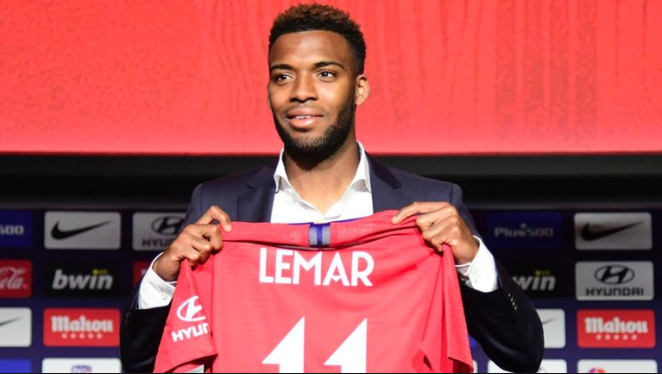 Lemar has played in a counter-attacking 4-4-2 for Monaco and France over the last 2 seasons so he will likely not take too long to adapt. His incisive dribbling and precise passing in the final 3rd will provide Atletico with the means to open teams up in tight games and he is well accustomed to defensive work and sacrificing himself for his teammates. Diego Costa made his long-awaited return from Chelsea in January and his arrival could turn Atletico from “nearly men” into Champions. Throughout his career, Costa has proven himself to be a difference maker at the very highest level. He has been the top scorer of three title-winning teams in the last 5 seasons and his goals fired Atletico to the league in 2014. In the 4 years since his departure Atletico have tried and failed to find the perfect number 9 to complement their star player Antoine Griezmann and in Costa they may finally have that player. Griezmann’s form improved significantly when Diego Costa arrived in January. The Frenchman scored just 5 league goals before Costa’s return compared to 14 after; Costa’s speed, strength and fantastic movement down the channels allow him to occupy entire defences on his own, pushing them back towards their own goal and opening up space between the lines for Griezmann to play in. Their partnership made the difference in the Europa League semi-final against Arsenal, Costa ran Arsenal’s defence ragged and Griezmann was free to receive the ball between the lines and run onto knockdowns and second balls. The tie deciding goal was scored by Costa and set up by Griezmann. If Costa is once again able to dovetail effectively with Griezmann and cause defences issues with his individual quality, Atletico’s attack will be just as effective as their defence. Alongside their excellent work in the transfer market, Simeone has developed some of the talented young players that were already in their ranks. Atletico’s youth academy continues to produce top players that transition seamlessly into the extremely demanding first team environment. 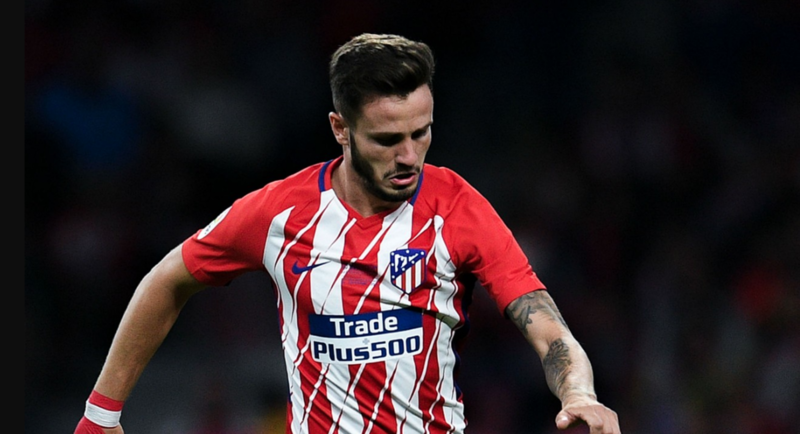 Saul Niguez, Thomas Partey and Lucas Hernandez have made significant strides since 2016 and are now key cogs in the Atletico machine. Saul is the only one of the aforementioned players that started the Champions League final in 2016. He was already a top player back then but has progressed significantly in the two years since. In his 2015-16 breakout season, Saul played on the right-hand side of Atletico’s midfield 4, using his dribbling ability to cut inside from the wing and often popping up at the back post to score from crosses. He has now been permanently moved into centre-midfield and evolved into one of the most dynamic midfielders in Europe. Saul is Atletico’s swiss army knife, he’s a jack of all trades and a master of a few as well. He’s athletic, strong in the tackle, can dribble, pass, and arrive late in the box to score goals. His knack for scoring goals in big games could prove to be crucial for Atletico in the latter stages of the Champions League. He has already decided big European games against Leverkusen Leicester and Bayern with his goals and can always be counted on when the stakes are high. 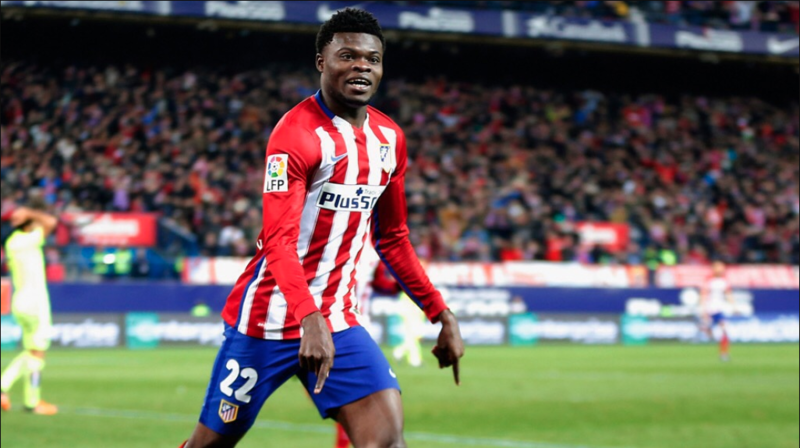 Partey made a number of fleeting substitute appearances in 15-16 and 16-17, often brought on to play on the right to help defensively and use his pace to get Atletico up the pitch on the counter. Much like Saul he has since been moved into the centre-midfield where he is most comfortable. Partey is a physical and combative defensive midfielder who uses his anticipation and athleticism to snuff out opposition attacks. He is tidy with his distribution and releases the ball quickly after winning it back. He displaced Captain Gabi for most of the 2017-18 and will be in competition with Rodri for the central-midfield spot alongside Saul. Thomas provides a stylistic alternative to Rodri. He is quicker across the ground and capable of carrying the ball forward through midfield but a less accomplished passer. Atleti will have two very good players to choose between and this depth in quality will serve them well in Europe. 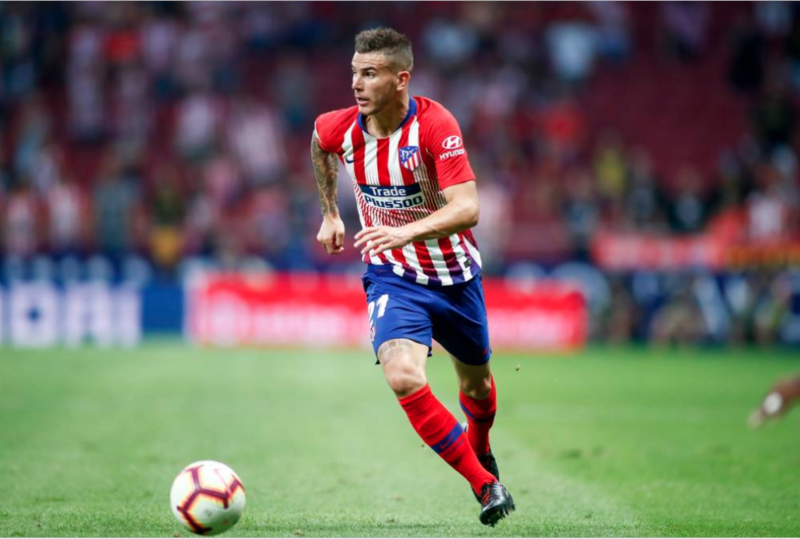 Lucas Hernandez profited from Filipe Luis’ series of unfortunate injuries to establish himself as Atletico’s first choice left back in 2017-18. 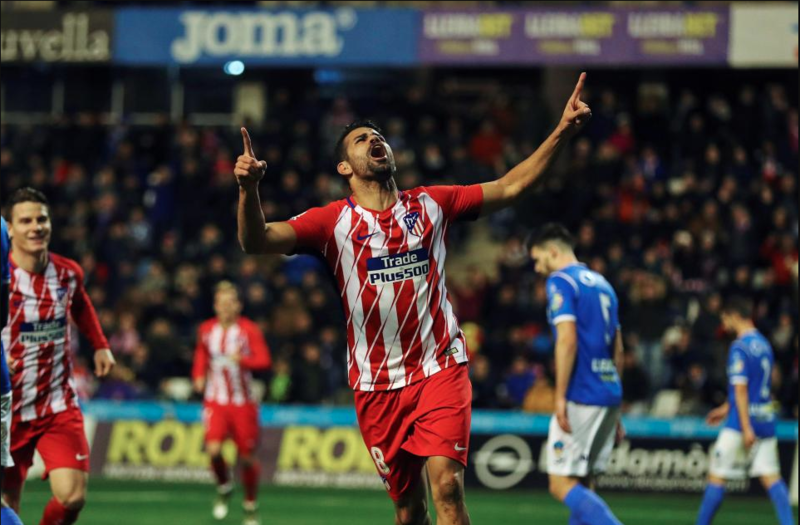 His form at club level led to him being called up for France and winning the World Cup as their starting left-back capping off a remarkable breakout season for the Atletico academy graduate. Hernandez’s aggression and acceleration make him a very capable 1v1 defender in wide areas. He covers his centre-backs well, can anticipate danger and his education as a central defender make him a very good fit as a left-back in Atletico’s defensive system. In the last 4 months, Atletico have overcome two significant hurdles that could help them on their way to fulfilling their undoubted European potential. Their 2-0 victory over Marseille in the Europa League final will give them the belief that they can win in European finals having lost their last two to Real Madrid. The Europa League also gave Atletico the chance to fine-tune their approach to two-legged European ties. 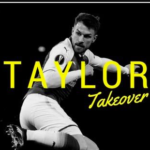 The way they managed the semi-final against Arsenal was a sign of just how good they can be when their backs are against the wall, after going 1-0 down and a man down in the first leg at the Emirates, they fought back and equalized before settling for the 1-1 draw and seeing out the game. The second leg was a classic Atletico performance, they took a 1-0 lead in the first half and completely shut up shop, restricting Arsenal to just one shot on target in the entire game. This resilience and game management has put Atletico up amongst the very best teams in Europe despite not having as much star power. Their 4-2 victory over Real Madrid in the UEFA Super Cup was arguably a bigger and more important hurdle to clear. Madrid have knocked Atleti out of the Champions League in 4 of the last 5 seasons, including twice in the final. If Atletico are to win the Champions League there is a strong chance that they will have to knock Real Madrid out on the way. The Super Cup victory saw them get past an issue that was likely becoming more psychological than tactical or technical. Beating their city rivals in Europe and lifting the trophy afterward will give them the belief that they can go and do it again, this time in the Champions League. Since his arrival in 2012 Diego Simeone has won every trophy available apart from the big one; The UEFA Champions League. Their meteoric rise from mediocrity to battle-hardened European competitors has earned them the respect of the entire continent but to truly complete their journey to the top they must lift Europe’s greatest prize. They have a squad packed with grit and talent in equal measure, a style of play that allows them to compete against teams with greater resources and a manager that has shown he can outwit the very best in Europe. Atletico Madrid are as well equipped as anyone and their near misses will no doubt give them the drive and determination to get over the line this time around. With the final being held in the Wanda Metropolitano they have a unique opportunity to write their name in the European history books in their own stadium, could 2019 be Atletico Madrid’s year?